I’m writing this on a Boing 747 headed back to Heathrow, having spent four splendid days in New York. I was in Manhattan with Kate, Tessa and James to run our very first conference in the US, Ampersand NYC. 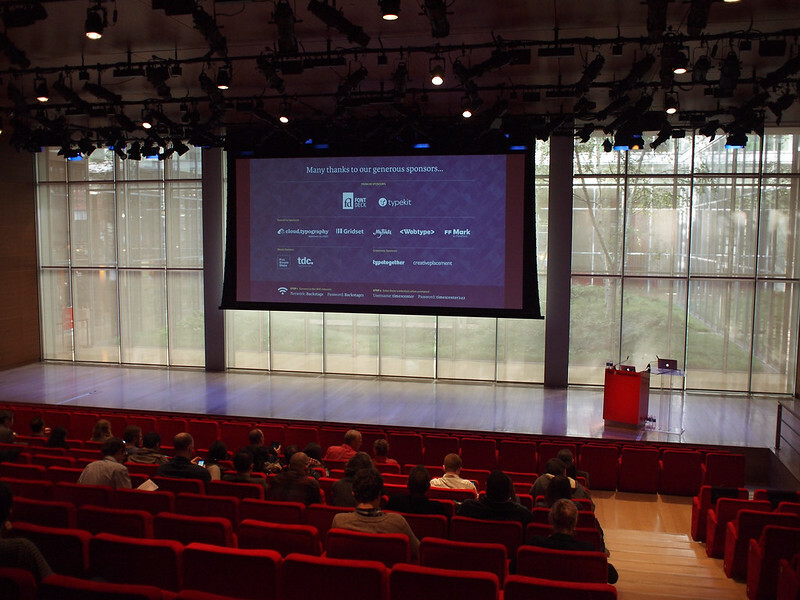 Earlier in the year we (well, Kate) scoured Manhattan for a suitable venue - one with the right seated capacity, but also plenty of room for sponsors and mingling in the copious breaks we like to include in our conference. In the end we went for the TimesCenter, just off Times Square. An expensive choice, but well worth it. Thanks to Kate’s immaculate planning, great support from the venue and our wonderful volunteers, the whole event went without a hitch. It just left me the job to introduce each of the speakers and get off the stage as quickly as possible, which I was very happy to do. Like all of Clearleft’s conferences, Ampersand is carefully curated, with all the speakers there by invitation. They did not betray our trust. From Michael Johnson setting everything up perfectly to Christian Schwartz closing the conference with a series of gentle reminders, each speaker was erudite, entertaining and utterly professional, for which I will be forever grateful. So far: really pleased with my decision to wake up early on a Saturday for @ampersandconf. Amazing talk by @NickSherman @ampersandconf, very thought provoking. The whole lineup is fantastic. Thanks, @clagnut for a great conference. Ok, @ampersandconf was as awesome as I expected. I highly recommend catching it next time around. Good conversations this evening at the @ampersandconf after party with @mrmucca @scottboms @NickSherman et al. Type nerds unite! So thanks again to everyone who has made Ampersand the wonderful conference I think it has become. And thanks again to New York for a splendid final hurrah (for now).